(25 mi) northeast of Mexico City. Teotihuacan is an enormous archaeological site in the Basin of Mexico containing some of the largest pyramidal structures built in the pre-Columbian Americas. 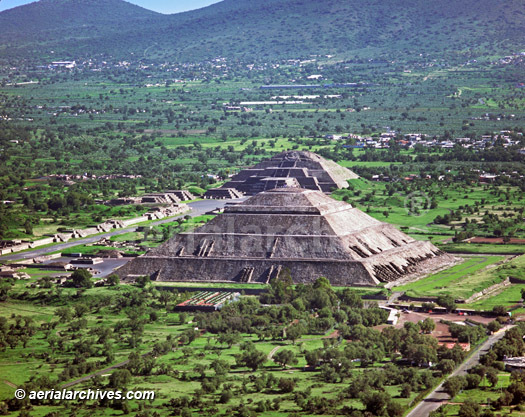 Apart from the pyramidal structures, Teotihuacan is also known for its large residential complexes, the Avenue of the Dead, and numerous colorful, well-preserved murals. For more information on the pyramids, click here.